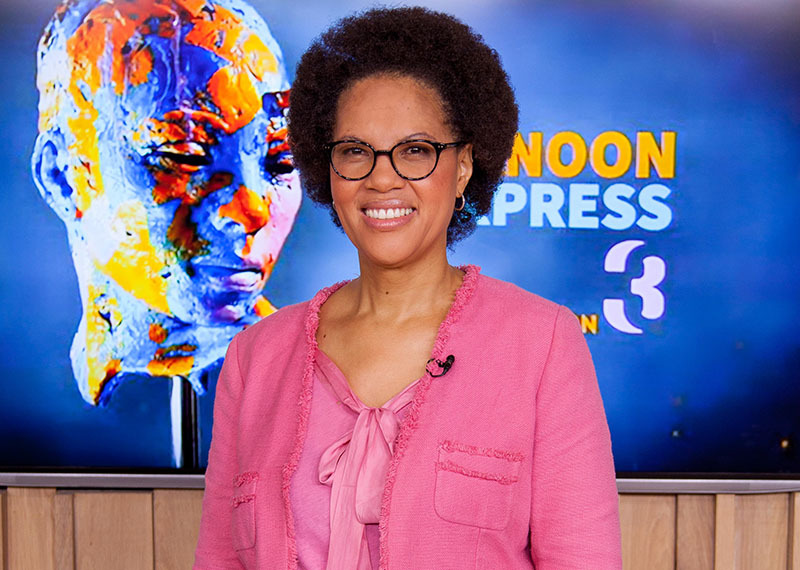 Congratulations are in order for South African academic and dermatologist, Professor Ncoza Dlova who received global applause for her groundbreaking research which discovered the root cause of permanent hair loss in African women. Professor Dlova is dean of the University of KwaZulu-Natal's (UKZN) School of Clinical Medicine and an internationally renowned dermatologist. According to UKZN, she collaborated with a number of international scientists researching hair loss. They identified a new gene, which they found to be a major cause of permanent hair loss among women of African descent. They discovered the root cause of Central Centrifugal Cicatricial Alopecia (CCCA), one of the most common causes of primary scarring alopecia among African women. This groundbreaking study: "Variant PAD13 in Central Centrifugal Cicatricial Alopecia", was published recently in the New England Journal of Medicine, one of the most prestigious journals in medical science. This study found that the peptidylarginine deiminase 3 (PAD13) gene,- which mediates posttranslational modification of proteins essential for proper hair shaft formation, was mutated in the majority of affected patients, suggesting that the disease is genetically heterogeneous. The scientists also found that the distinct variants in PADI3 in each of the disorders may account for the difference in clinical outcomes. These research findings suggest that PADI3 mutations predispose individuals to CCCA, and clinical presentation or worsening of CCCA may be triggered by environmental factors such as damaging hair grooming practices, including the use of hair chemicals, traction, heat, braids and weaves. This implies that in affected families, hair grooming practices, as mentioned above, must be totally discouraged. Larger studies are still needed in order to justify genotyping of asymptomatic women. CCCA was first described in 1968 as "hot comb alopecia" in a group of African-American women who straightened their hair with a hot comb. It is defined as hair loss or spot balding that starts from the central (crown) part of the scalp and radiates outward in a circular pattern. CCCA causes destruction of the hair follicles, leading to scarring or permanent hair loss. It is very common among women of African descent between the ages of 30 and 60 years, and has a prevalence of 2.7% - 5.6%. The root cause of this condition has always been elusive and was attributed to the use of damaging chemical products on the hair, as well as the application of heat brushes, hot combs or straighteners. It has also often been confused with female pattern hair loss or common baldness, which is a completely different entity. The condition predominantly has no symptoms and may be picked up co-incidentally by hairstylists, with very few individuals presenting with painful, pimple-like lesions on the scalp. It occurs rarely in African men, probably due to less hair manipulation. Patients with CCCA were recruited from Durban, South Africa, from 2013 through to 2016; and in Winston-Salem, North Carolina, from 2014 through to 2017. A team of investigators from the department of human molecular genetics and dermatology at Israel's Tel-Aviv University consisted of Professor Eli Sprecher, Dr Liron Malki and Dr Ofer Sarig; Professor Amy McMichael came from the department of dermatology at Wake Forest Baptist Medical Center, USA; other colleagues who collaborated were from the Institute of Human Genetics at the University of Bonn in Germany; from UDEAR; and from the Institut National de la Santé et de la Recherche Médicale, Université Paul Sabatier in France. The team performed the genetic sequencing and coding, as well clinical aspects of the research. "This is probably the biggest breakthrough in South African dermatology. This discovery is a first in the world, and it followed links to an earlier publication of 2013 in which we reported for the first time a familial association in a cluster of black South African families with CCCA. We have been following the 15 families for five years and seven years later, a gene has been identified. This has huge implications on early diagnosis, prevention and possible future targeted therapy of CCCA. "None of this would have been possible without the families and our patients, who showed the will to participate in our research endeavours. We are indeed grateful to them. I am also grateful to my local and international colleagues for working with me. This is indeed testimony to the power of diversity and working together in research," said Dlova, adding: "Thanks also to my supportive family in the department of dermatology, fondly known as DOD, UKZN, as well as my heroes, my husband Dr Themba Mabaso, son Wakithi Mabaso and my family. I also thank Professor Dedee Murrell from Australia, for introducing me to Professor Eli Sprecher, a real geneticist genius indeed. "We are also eternally grateful to all our sponsors, The Ram Family Foundation, the German–Israeli Foundation, L'Oréal African Hair and Skin Research grant, the Skin of Color Society, and the Deutsche Forschungsgemeinschaft–funded Cluster of Excellence ImmunoSensation, as well as Dr Nokubonga Khoza for assisting with patient recruitment." This is a big deal. An African woman discovering something that affects African women is the kind of content we signed up for. Congratulations Professor Ncoza Dlova! Your contribution to dermatology and most importantly African women's political hair, is in history books. Keep discovering!